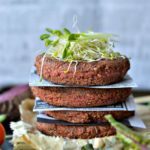 Do you think that those meatless burger patties are super cute? I really do! I love natural pink food and beetroot is such a powerful vegetable to bring colours to your table. 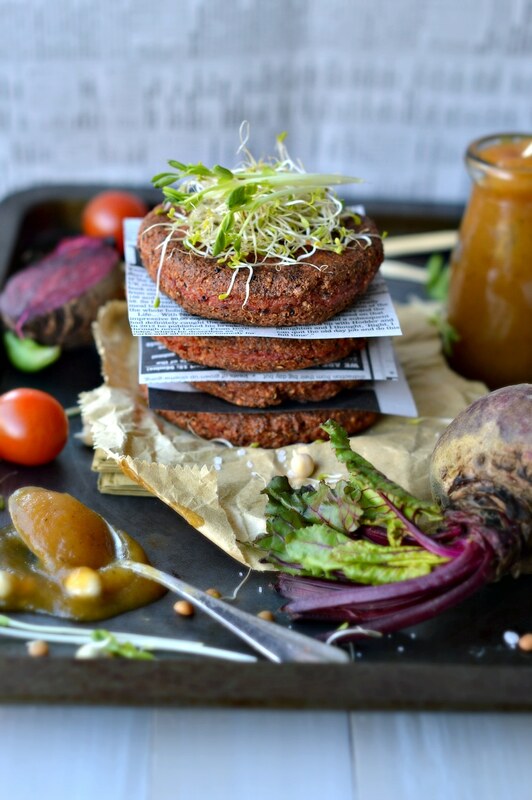 Those Supergrains Beetroot and Tofu Burger Patties are simply amazing. 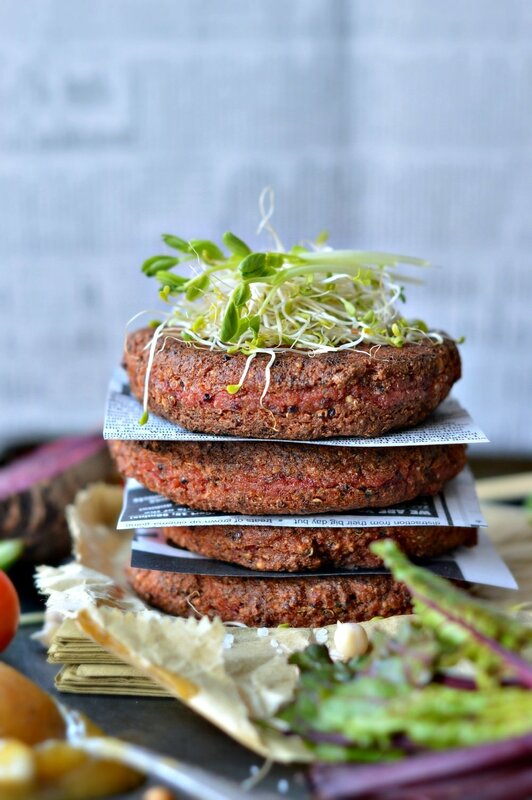 They are 100 % vegan burger patties mainly made of tofu, beetroot, seeds and a mix of supergrains : millet and a blend of black,white and red quinoa. What I love the most about those Supergrains Beetroot and Tofu Burger Patties is the crispy outside and moist centre. I even believe that they taste better than meat burger patties! I served those patties in a burger bun for my husband but if you are on a low carb diet like me simply eat those patties wrapped in lettuce. I also like to eat them topped with sprouts and a raw vegetables on the sides. This recipe make about 8 patties but I am usually making 4 patties and I am using the leftover of batter to shape small balls. Why? to have quick and easy appetizers on hands! Simply roll each balls into LSA ground (a mix of grounder linseed, sunflower and almond). Then, place those coated balls onto a plate covered with plastic wrap and froze them. When frozen transfer into an airtight box and keep in the freezer up to 3 weeks. It makes a wonderful healthy appetizers that you can simply defrost few hours before having some friends home. Simply fry them into a warm frypan with olive oil. Done! Your guest will be amazed. Serve with any home made dips of your choose. Enjoy. Carine. A little update to this recipe today ! As you know I am a big fan of appetizers of all kinds and today I tried to shape balls with this batter. I rolled the beetroot balls into old fashionned rolled oat and bake them for 25 minutes at 180C. Waouh! It was simply delicious and I thought it worth the update to let you know that this recipe is not only good for burgers but also as an healthy finger food or game appetizers! Not much pics of those balls sorry but looks how cute it looks! I hope you try them. A delicious vegan tofu burger recipe made with fresh beetroot, wholegrains and 100% vegan. In a saucepan, place the millet and quinoa. Cover with cold water, close the lid and bring to boil. When the water is boiling remove the lid and cook on low heat for 10-15 minutes. It is cooked when the grains are sticky and soft and the water has been absorbed. Stir every so often to avoid the grain to stick to the saucepan. Drain into a drainer to evaporate the water until no more steam. In a food processor with the S blade attachment, add the grated beetroot, basil, soy sauce, crumbled tofu, seeds and red onion. Process until it forms a moist and chunky pinikish mixture - about 1-2 minutes. If needed, stop the food processor scrap down the side and process again until it forms a consistent crumbly and pinkish mixture. Add the cooked and drained supergrains. Process again.until it forms a pink paste. Add the buckwheat flour, salt and pepper. Blend to combine. Refrigerate in a bowl for 15 minutes to firm up slightly. Prepare a plate covered with plastic wrap. Set aside. Slightly oil your hands with olive oil and forms 8 balls with the patties mixture. Place each balls onto the prepared plate and press them to form patties. Refrigerate for 1 hour to firm up.. In a frying pan add about 0.5 cm of olive oil. Warm until hot about 1 minutes on high. Place the patties into the warm olive oil gently with your hands to avoid them to break. Let fry for 3-5 minutes on one side before cooking the over side. Use a large spatula to flip over the patties and avoid them to break. As soon as one side is cooked it is firm and won't break. Cook on both sides until crispy. Place onto a plate covered with absorbent paper when cooked. It will absorbs the extra oil. Eat straight away or set aside at room temperature and rewarm in the oven at 160C, 20 minutes. Eat in a burger bun, lettuce wrap or simply with sprouts and salad. Can be frozen before frying. Shape balls of beetroot batter with your hands and roll each balls into old fashioned rolled oats. Place each balls on a baking tray covered with baking paper. Bake for 25 minutes or until firm and cooked through. The nutrition panel below is calculated using sunflower seeds. LOVE. 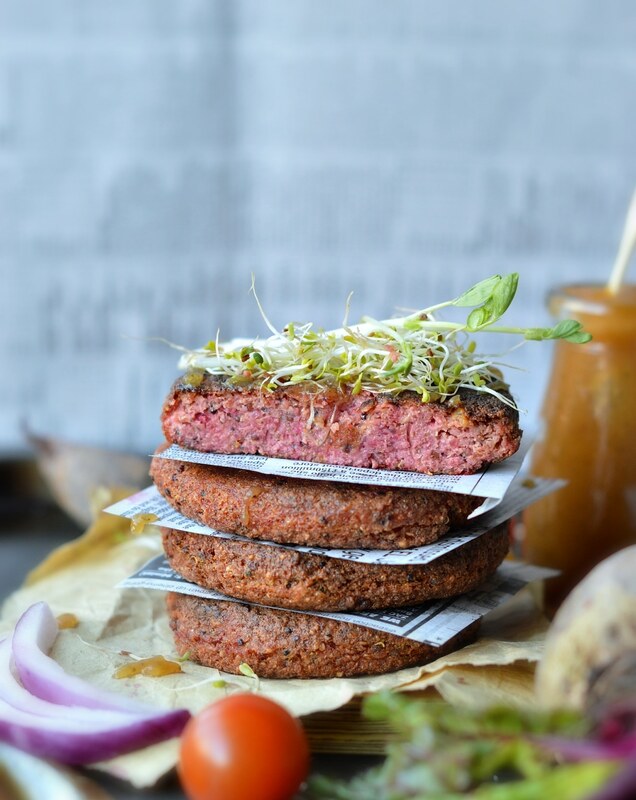 These burger patties definitely will be getting made me my kitchen – love how healthy and delicious they are. Thanks for this recipe! Made these but added chipotle peppers to them, so tasty! Served with garlic aioli, yellow peppers, guacamole and sprouts on top! YUM! Hi Jamie, thank you so much for your comment! I love the idea of chipotle peppers in those patties! I will try next time. 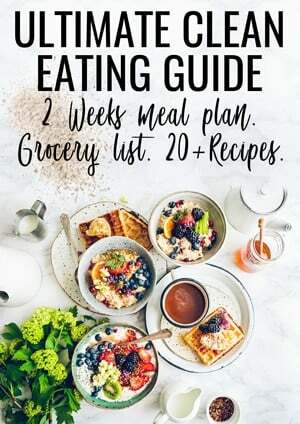 I hope you will find more yummy recipes around the blog. See you around soon! xoxo Carine. Hi!!!! is there a possibility of doing this without the tofu? Are there any substitutes? Hello! Tofu is an important part of this recipe but beans should work like cooked chickpeas or red beans – if you are using canned beans make sure you rinse them and dry them before adding to the recipe! Enjoy, xoxo Carine. Would it be possible to omit the onion? I’m not a fan of onions…too strong of a flavor for my delicate palate. Hi, Sure the recipe will work perfectly without onion! you can also replace onion by something less strong like a bit of spring onion maybe. Enjoy the patties! Carine. Hi, what are the calories, carbs, fat and proteins? The nutrition panel is now available after the recipe box. It is calculated for 8 patties using sunflower seeds. 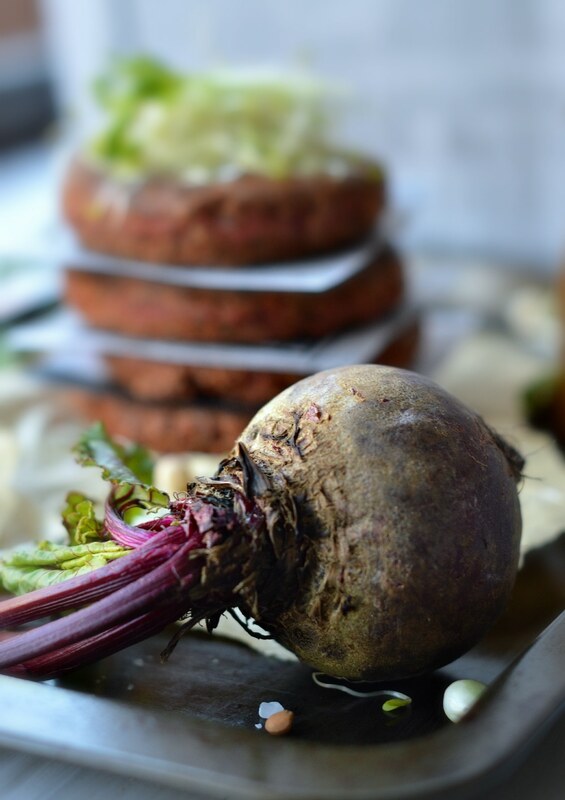 Enjoy the lovely vegan beetroot patties! xoxo Carine. Hi, do you use the firm tofu or medium? Hi, I used firm tofu but any tofu would work in this recipe as it is pulsed into the batter. Enjoy the patties. xoxo Carine. Hi, these burgers sound amazing. My parents are vegetarians and I’m always looking for new and tasty meals. My question is instead of the Buckwheat flour can I just use all purpose flour? Yes sure! It should work as well but you may have to add a little more regular flour to bring the batter together (buckwheat flour has more fibre and is much more water absorbent). Enjoy the recipe with your family and thanks for trying mine ! XOXO Carine. hello, is there a substitute for millet with something else? Sure! Any grain like quinoa, brown rice, buckwheat groats will work and be a very healthy option ! Enjoy the recipe. XOXO Carine.